Export Accounts Receivable - really more risky than domestic? This is a great article from an associate of mine who specializes in accounts receivables insurance. Not only does it offer a great perspective for any business executive with financial responsibility, but it highlights the folly of one of the great myths of exporting. But more importantly, the mindset that global risks are more difficult to predict overlooks fundamental risk that lurks in every domestic receivable too. Here's Dan's insight into the risks you might not even be weighing. Most of the time people think of bankruptcy and think of poorly run companies that mismanaged their finances or whose product became obsolete and didn’t innovate. While in fact these may be the most common cause, a little thought of reason that companies go bankrupt is due to recalls and industrial accidents. 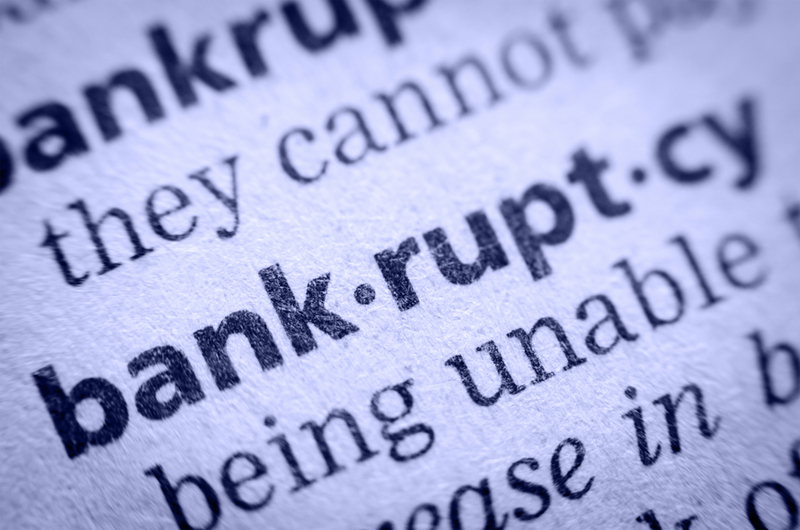 What can make these types of bankruptcies worse is that they are not foreseeable. In most bankruptcies you see a slow down in payments, sudden requests to change payment terms, a sharp reduction in product ordering or a variety of other things that can clue you in that there is a problem. With recalls and accidents you don’t have that kind of foreshadowing, the incident happens, two weeks later it’s all over. 2007, Menu Foods. At the time the largest producer of pet food in North America. Made to recall 60 million units, share priced plummeted and was bought out (payables not included with deal). 2007, Topps Meat Co. One of the worlds largest manufacturers of frozen hamburger. Has a massive recall, two weeks later filed for liquidation. 2008 Simplicity Inc. Was a leading importer, designer and distributor of juvenile and baby furniture. Had a recall of cribs with deaths involved, was bought out (payables not included). 2009 Peanut Corporation of America. Salmonella outbreak in a plant, not long after that another plant had the same problem, two days later they permanently discontinued operations. This caused a $70 million loss for Kraft and forced Forward Foods to file bankruptcy! 2013 Sunland. Worlds largest producer of organic peanut butter, maker of Kirkland and Trader Joes organic peanut butter as an example. Product was contaminated, massive recall and now liquidated. 2012 Maxfield and Oberton. Maker of popular desktop magnet toy “buckyball”. Choking hazard, massive recall, filed bankruptcy. 2014 Freedom Industrial. Chemical company in West Virginia supplying the coal industry. Spill into water supply bankrupt one week later. 2013 Montreal, Maine and Atlantic. Train derailment in Canada, leveling the town. Both U.S. and Canadian divisions file bankruptcy. 2013 West Fertilizer Co. Supplier to farmers since 1962. Explosion at plant filed bankruptcy. 2001 Malden Mills. I include an older one as many in New England will remember it. Fire destroyed plant, company filed bankruptcy 3 years later. These examples are just a few but they illustrate that large very stable companies can have a one time catastrophic even that can kill the company, This can cause suppliers to either face struggles of their own with payment to suppliers and may even cause the supplier to file insolvent also, particularly if their was a large concentration of receivables with the buyer. The simple way to protect a company is to insure the receivables of all their buyers against insolvency or non payment. Many companies think only to insure smaller companies they are unfamiliar with or are higher risk but we must remember things can happen to even the largest of companies that can make them file bankruptcy. The thing to remember, when a big buyer/company goes down it is usually something no one saw coming that took them down and to not protect yourself from this and have it happen to your buyer could be devastating to you. Insuring your receivables is a very low cost way to protect yourself from this eventuality. It also has the benefit of strengthening your relationship with your bank and garnering more financing at better rates. Another benefit is the ability to sell to companies on credit that you otherwise would put on cash in advance thus increasing sales and giving you more profits while selling safely. But it's never much fun to just talk about risks - how about growth? Simultaneous domestic and global growth is the aspiration of most dynamic B2B manufacturing companies, and Consilium's #SellMoreHere & #SellMoreThere approach is an effective method to achieve both. Want to grow your business?